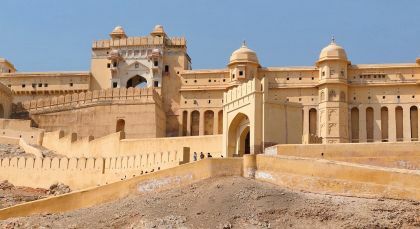 This is the ultimate white glove tour of the regal cities in North India and Varanasi. Gain a unique perspective on the culture and heritage of India while you rest in sumptuous accommodation, enjoying VIP service, our best guides and excellent vehicles. 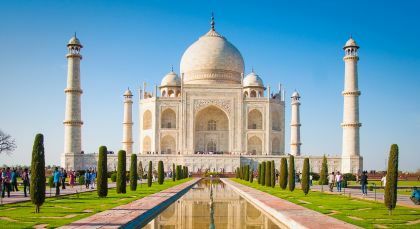 From the glorious land of Rajputs and Maharajahs to Varanasi, one of the oldest cities in the world, this whirlwind India vacation offers unique insights into some of the most famous destinations of North India. Personally tested by our team, enjoy interesting excursions to understand India’s rich culture, observe centuries old rituals and marvel at glorious UNESCO Heritage sites. Experience the VIP Enchanting Service, which includes a fast track personal airport meet and greet facility for your international arrival and departure, airport lounge access on departures, and complimentary premium beverages (including beer) and snacks during your long car journeys. Delhi, the City of Djinns (spirits) is yours to discover! Let us take you on a journey of India’s capital that covers 5,000 years, from its imperial history and two World Heritage sites to today’s electric contemporary vibe. Jump into the hustle and bustle of Old Delhi on a fascinating and comfortable cycle rickshaw ride! Sit back, relax and observe as your rickshaw wallah weaves you through the narrow, popular lanes, amidst the swarming masses of people. Your local guide will highlight all the different sections of the market as you breathe in the wonderful aromas of the spice market, the largest in Asia, and the wafts of burning incense from nearby stalls. There’s a sense of the medieval in these bazaars, and items for sale range from the colorful to the quirky, from bangles and silver jewelry to herbal potion concoctions. Supported by your local guide, this is undoubtedly one of the best and most thrilling ways to experience traditional Delhi! Varanasi, the holy city, is older than history and legend! Located along the banks of the holy River Ganges, it is the oldest living city in the world. Discover the magic of white marble at Agra! The city is home to UNESCO World Heritage Site and one of the Seven Wonders of the World, the Taj Mahal. Jaipur is the eternal rose pink city and gateway to North India’s most colorful state, Rajasthan. From Jaipur, set out to the foothills of the Aravalli Range prior to dusk and discover the valley camp of Dera Amer. Experience a regal elephant ride through the natural and serene wilderness that engulfs the camp. As the sun begins to set, journey through a private jungle, home to leopards, antelopes and jackals, and along a landscape dotted with a few hamlets that house local villagers. To help guide you along the way is a magical and medieval fortress lit by mashals (flame torches). Experience an alfresco barbecue dining experience under the stars. With a bonfire to keep you warm, and the company of the camp staff and other guests to keep you entertained, this unique four hour elephant experience is one for you to cherish. Jodhpur is dubbed the blue city due to its plethora of vivid blue painted houses located in the old quarter. Udaipur is the City of Lakes! 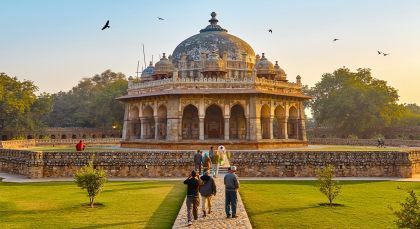 Tucked away in the heart of the forested Aravalli Hills, this regally romantic city has always stood out from Rajasthan’s other desert cities with its network of manmade lakes. Journey to Ranakpur on a unique day trip, which can be enjoyed en route. 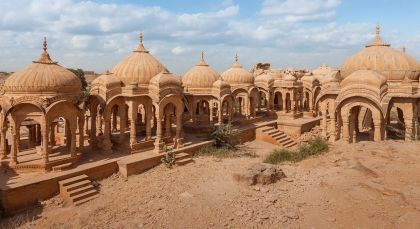 The highlight of this town is the Jain Temple, which dates back to the 15th century and is intricately crafted – and entirely out of white marble. The temple complex is extraordinarily well-preserved, despite its age, and covers a vast area. Take on the role of explorer as you venture through the complex, with its 29 halls, 80 domes and pavilions, and 1,444 imposing pillars, of which no two are alike in design or sculpture. Rankapur is the single most important pilgrimage site for followers of the Jain religion, so expect to find devotees engaged in prayer in this tranquil place. Kindly note that guides are not permitted to accompany you inside the temple complex. 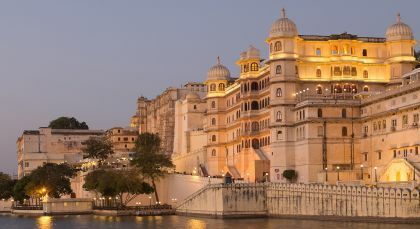 Experience the beauty of royal Rajasthan on a boat ride along Lake Pichola, overlooking the magnificent Lake, City Palace, and other historic sites and ghats of Udaipur. Your tour boat will cast off from the ghat or lakeside, which is barely a few minutes from your hotel. Enjoy a spectacular view of this magnificent medieval city on a romantic evening ride along the lake. Get to know the enthralling stories of the Maharanas of Mewar, including heroic tales of Udaipur’s brave kings and queens, on your leisurely ride. (Duration: 1 hr, Time of Day: Evening; Private Activity; Fitness Level: Easy; Maximum group of 10 for each boat. This activity is only for guests staying at Udai Kothi, Fateh Garh or Fateh Niwas). Discover both culture and cuisine on this four hour foodie tour of Delhi! With its bustling food-laden alleys, street food is the soul of Old Delhi. Don a pair of sturdy walking shoes and comfortable clothes and head out with your expert guide who will take you through the labyrinth as you learn about the rich history, architecture and culture that has shaped the city’s cuisine over the centuries. Stop off on the way at tried and tested hygienic food stalls and renowned age-old eateries in Purani Dilli, where you can try a variety of freshly cooked and quintessential chaats (snacks), from cool kulfi or kebabs to mouthwatering biryani. Prices are in USD and exclude international flights. This trip price is based on low season rates for accommodation and other applicable services, and may change depending on availability, currency fluctuations and number of people traveling together. For high season prices, please contact us with your exact travel dates and preferences. Accommodation (on a twin-sharing basis) on the indicated meal plan for 14 nights. A high-quality air conditioned vehicle with unlimited mileage and a trusted chauffeur throughout your trip, apart from during your stay at a beach/backwater resort or houseboat if applicable. Love this sample itinerary? Contact us to make it your dream vacation!